You already know the benefits of block scheduling! Setting it up in Intergy is easy, and can be accomplished by following the steps below! 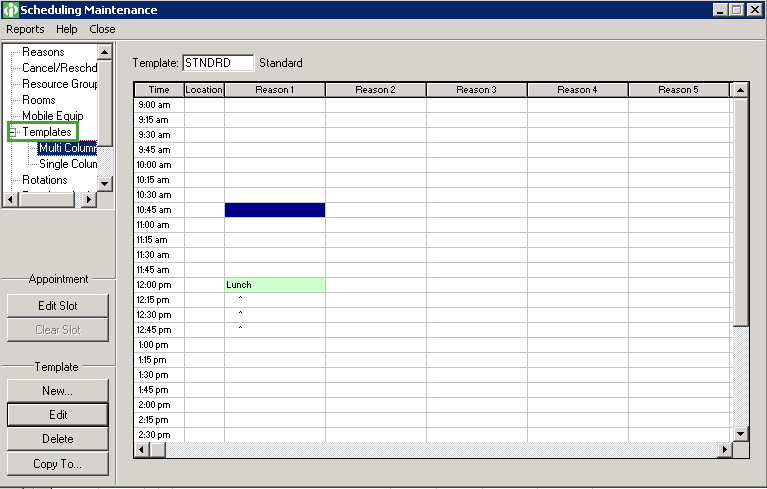 In Intergy desktop, click "Setup", then "Scheduling"
From the list on the left, click "Templates". Select the slot you'd like to block off for Telemedicine. Choose the Reason Class, Length, and how many times you'd like it to repeat. Optionally, you can choose the default location, provider, and room (if needed). Click "Save" when done. Tip: You can create a custom Telemedicine Reason Class, but it's not required to do so.